Did you wake up this morning only to realize that your furnace or boiler gave up on you in the middle of the night? 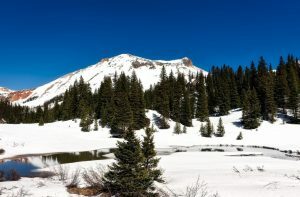 All that beautiful Colorado snow comes with a price, and that price is enduring frigid cold temperatures every winter. Making sure your heater is working correctly is a vital aspect of living in Denver. Many people are simply unaware of how their furnace or boiler works. Throughout the years, Sanders and Johnson has helped Denver residents with their heating services for 40+ years. The fact is that properly heated air and water is not simply a convenience, it’s a necessary part of living in the Colorado Rocky Mountains. Our company is here to make sure your home and your water stays at a comfortably warm temperature all winter long. • Furnaces — Usually your furnace is not something you think about very often, however, when something goes wrong you’re going to notice it pretty quickly. Our specialists are experienced with several types and models of furnaces. Chances are they can work on yours too! • Boilers — Your new boiler can be a quiet and efficient home appliance. We specialize in Boilers at Sanders and Johnson. We can repair and replace boilers. Don’t have to worry about living in cold conditions for long! • Water heaters — There aren’t many things worse than having no heat in the winter, except maybe cold water in the winter. If your water heater stops working, call the professionals at Sanders & Johnson and we’ll walk you through all of your options from conventional water heaters, to new eco-friendly tankless water heaters. • Ductless Mini-Split Heat Pumps — Want a more targeted approach when it comes to your home heating? You can place a ductless mini-split heat pump almost anywhere. These handy heating tools are an energy-saving alternative to boilers and furnaces. If your home’s heater stops working, don’t hesitate to call our company at 303-422-6606 as soon as possible! We work with all heating systems and can handle any type of furnace, boiler, ductless mini split heat pump, or water heater. With the name Sanders & Johnson, you can rest assured knowing you’re going to get honest work for honest prices. Talk to a Denver HVAC contractor today.